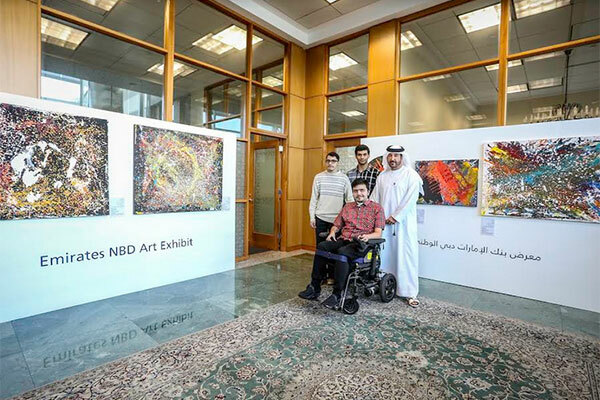 Emirates NBD (ENBD), a leading bank in the UAE, has announced the launch of the Emirates NBD Art Exhibit, a new initiative showcasing art by people of determination (people with disabilities). Aligned with the bank’s #TogetherLimitless advocacy platform for persons of determination, in collaboration with the Mawaheb from Beautiful People, the Emirates NBD Art Exhibit supports artists of determination by displaying their works at the Priority Banking centres of the bank’s branches. Customers who visit the branches will have the opportunity to enjoy the art works on display and buy pieces they like.